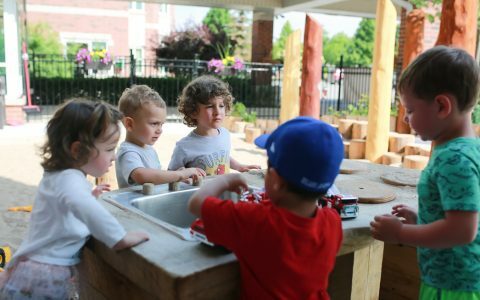 The YMCA Oakville’s Waterford child care centre is uniquely located in the same building as a long term care facility for seniors. 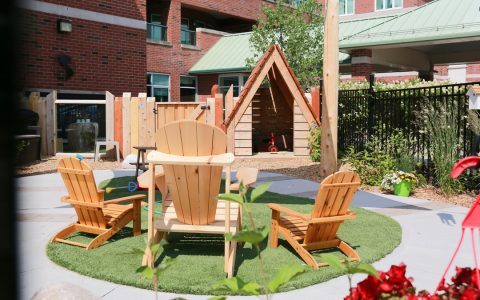 The children’s natural playground space sits immediately outside the rooms of residents who had specifically requested to be near the children’s play area. The Waterford playscape is divided into two areas – one for toddlers and a second for preschooler aged children. 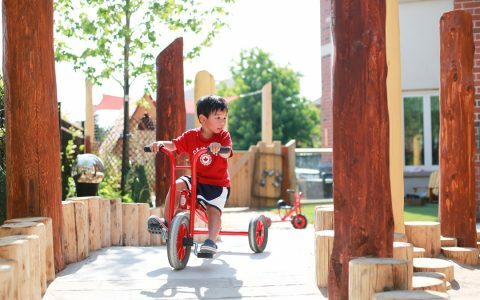 A thoughtful design maximizes the available space to give opportunity for social, active, creative and passive play for both. 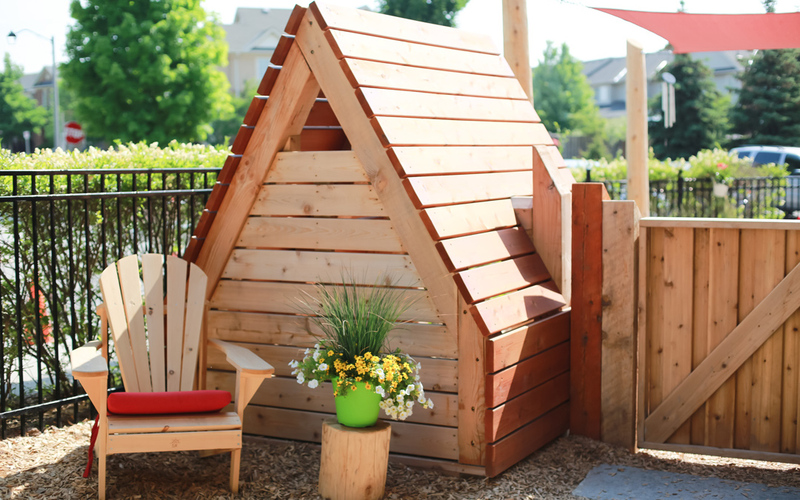 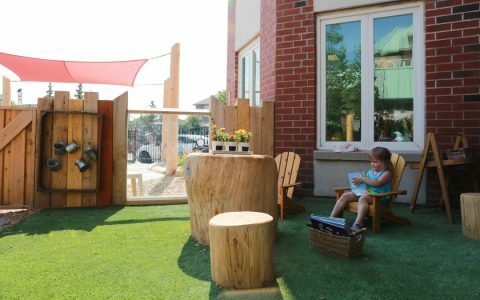 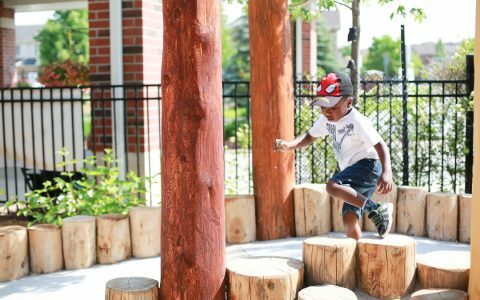 The outdoor kitchen and chalkboard offer imaginative play opportunities while log steppers of varying heights challenge children’s agility and balance. 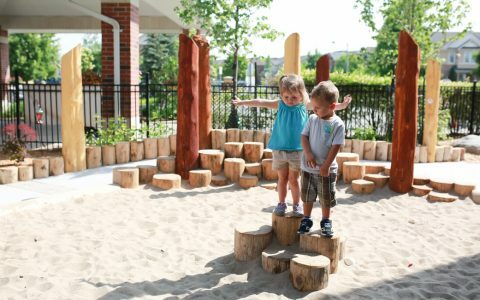 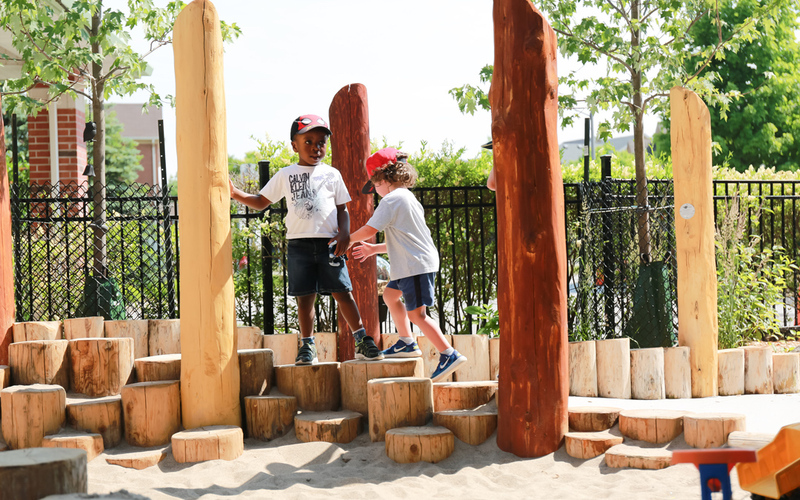 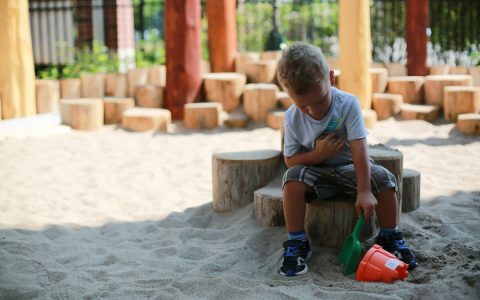 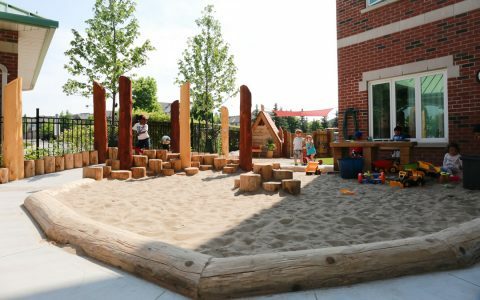 The sand play area, bounded by horizontal logs, is a popular spot where children can explore their senses and play with the textures of the sand. 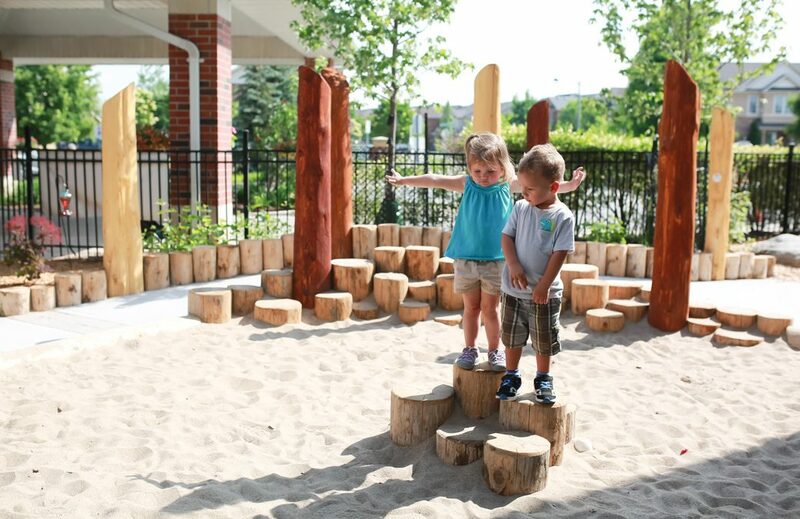 A log table and stump seating provide a space for children to sit and work together. 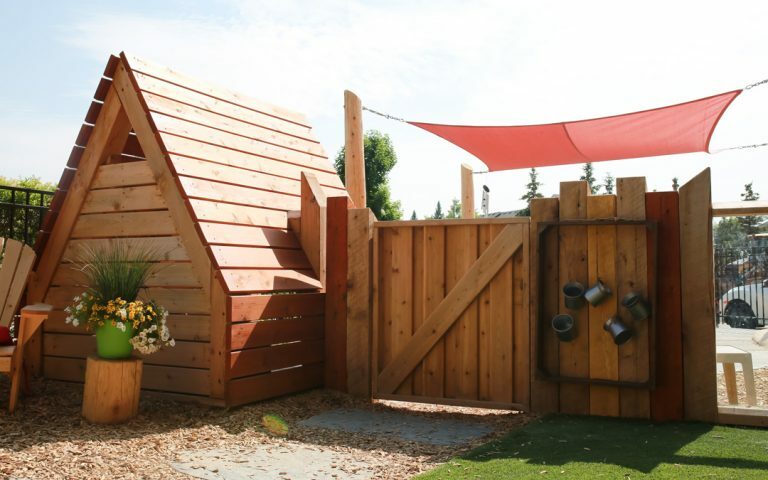 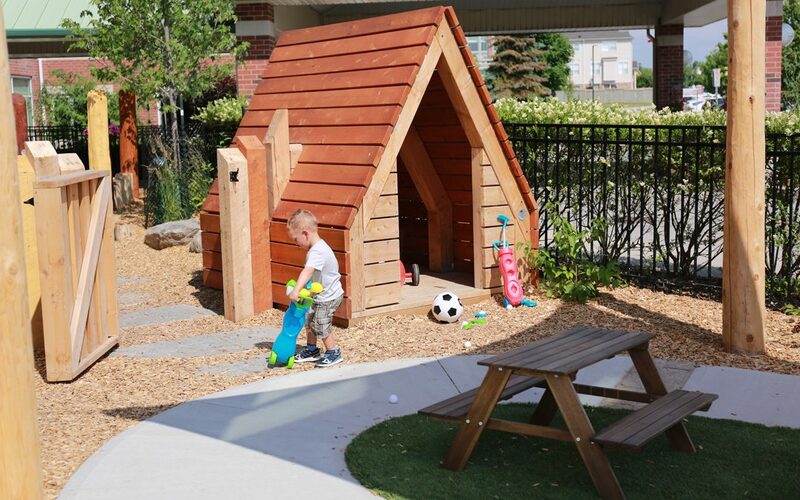 The alpine play hut and a clear panel divide the toddler and preschool areas while simultaneously promoting space for creativity and imagination. The trike loop has small changes in grading to add a small elevation challenge to new riders. The rumble strips add a sensory element to the active play zone. 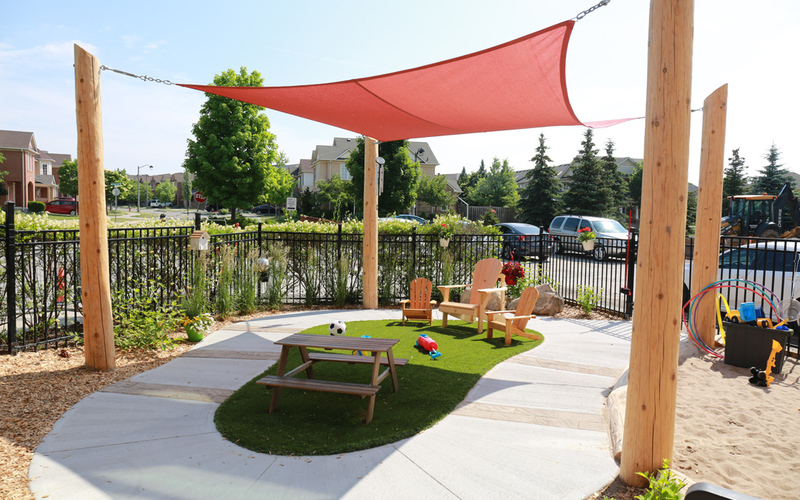 A shade sail protects the children from the sun’s rays until the perimeter trees are large enough to do the job. The centre added it’s own playful touches to both spaces with large and small Muskoka chairs and additional planter boxes to complete the play space.